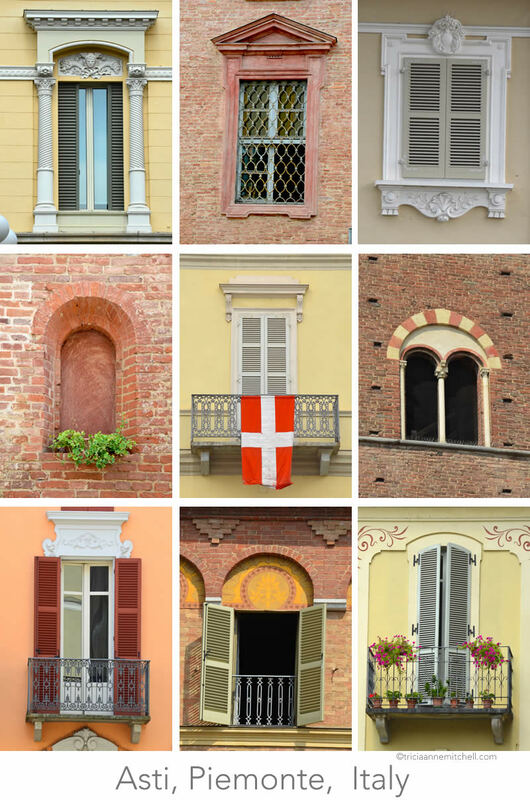 Perhaps best known for its annual Palio, a 700-year-old bare-back horse race replete with pageantry and tradition, Asti also has a lot to offer architecturally and gastronomically. The Northern Italian city once had more than 70 towers, which symbolized wealth and power. While there are less of them punctuating Asti’s skyline today, the city also features impressive churches and palazzi, beautiful brickwork, and varied architectural styles ranging from Gothic to Baroque to Renaissance. 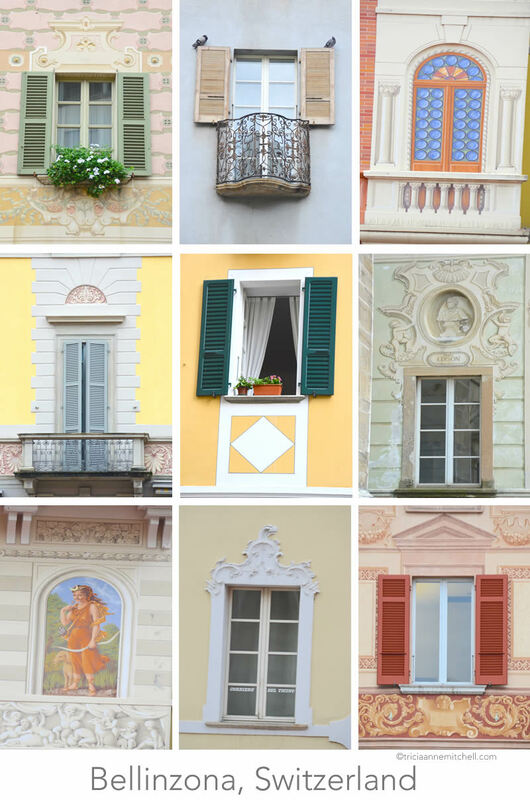 Which of these finestre are you most drawn to? 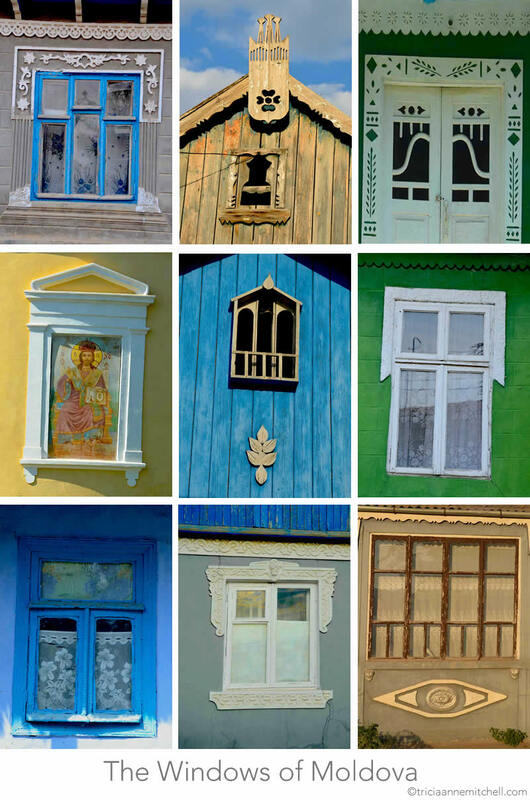 Viewed from afar, Moldova’s villages resemble a cluster of gingerbread houses. 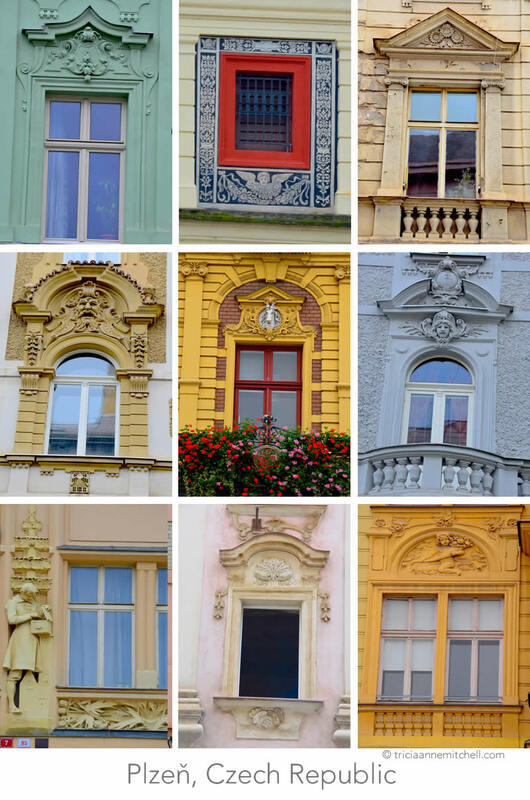 The plaster adornments framing the windows and doorways look as though they were made by the steady hand of a pastry maker piping on frosting, and the wooden cut-outs gracing gables reminded me of the lacy paper snowflakes that I used to make as a child. 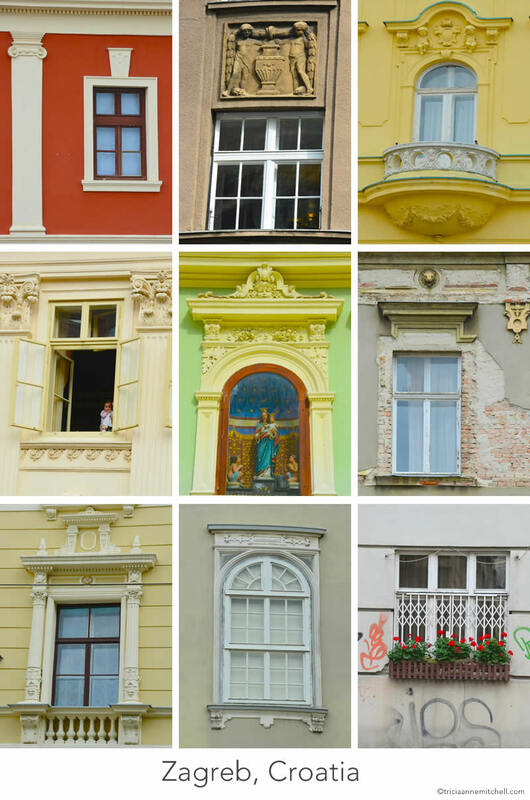 The catch is, my creations never looked so symmetric, nor as intricate as Moldova’s home adornments do! Coupled with utilitarian and decorative water wells, the homes make strolling Moldova’s villages a joy. Villagers were amused that I appreciated the homes’ folk art decorations so much. Some invited us to enjoy a glass of homemade wine on their lawn, another shared grapes with us, and one school teacher even insisted upon giving me a coffee table book on the topic of Moldovan architecture. Renowned for its Pilsen beer which was first created there nearly 175 years ago, Plzeň is the Czech Republic’s fourth largest city. I’ve taken a tour of the Pilsner Urquell Brewery in Plzeň, culminating in a taste test of the cool beverage on a sizzling summer day. I’ve even researched a branch of my German-Austrian family in the city’s archives, excited to learn that I could also add Czech to my ever-growing list of ancestries. From now on, though, I’ll always associate this laid-back Bohemian town as a place through which we passed with our rescued Ukrainian kitten, Cocoa in tow. There were challenges finding a can of tuna for the little guy (tuňák), and even greater struggles opening it. Fortunately, the kind host at our guesthouse was willing to rummage through the kitchen in search of a can opener. Perplexed that no modern one was in sight, he instead used a claw-like contraption to heroically tear the aluminum top open. I feared we’d be calling the hospital to have surgery performed on the young man’s hand. Fortunately, he prevailed unscathed, and little Cocoa left Plzeň with a full belly. Nestled in French Basque Country, Saint-Jean-de-Luz is a fishing port and resort town just minutes away from France’s border with Spain. We book-ended our two-week stay in Bilbao, Spain with day and weekend trips to Bordeaux and Rioja Alavesa wine country, elegant Biarritz, France, and seaside Saint-Jean-de-Luz. 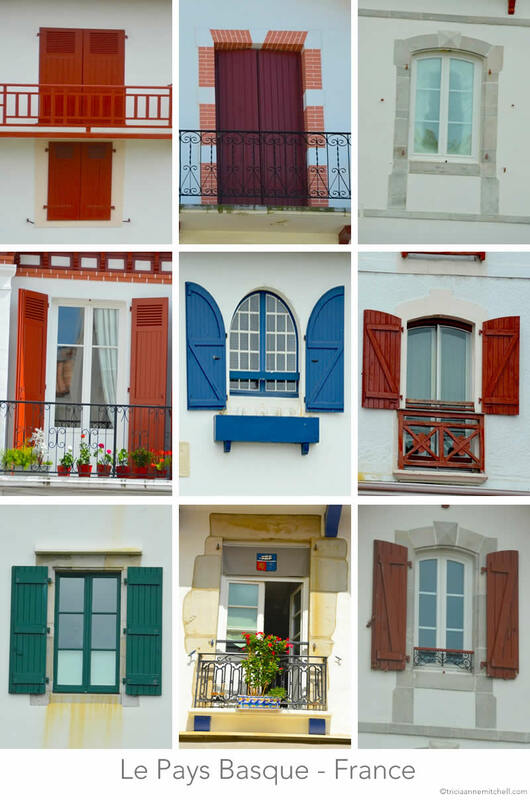 When Shawn, his parents and I weren’t tempted by what was in Saint-Jean-de-Luz’s ground-level windows – most notably the tempting tarts of golden-brown known locally as Gâteaux Basques – we focused our attention upon the buildings’ upper-level windows, and their delightful flourishes.